GOVERNMENT has appealed to the banking community to roll out robust advocacy campaigns aimed at increasing financial literacy levels in Zambia. Commerce minister Margaret Mwanakatwe said these advocacy campaigns should especially be targeting the rural population where financial illiteracy levels were high. Ms Mwanakatwe said Government stood ready to work with the banking and financial services providers in the country to ensure that financial and banking services were accessible and affordable in order to capture more people in rural areas. She was speaking during the welcome cocktail for the second Annual Banking and Finance Conference in Lusaka on Thursday. 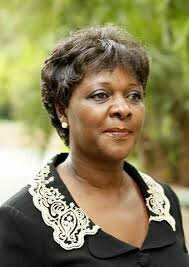 population in the country,” Ms Mwanakatwe said. She said Government through the Bank of Zambia (BoZ) under the financial sector development plan project was already working with the industry players in the financial services to expand financial inclusion in order to improve the lives of Zambians. Ms Mwanakatwe said this project was based on the premise that being able to secure savings and other financial services would better enable the poor to build financial security and manage financial shocks by investing in income generating activities which ultimately improve the quality of life. Bankers Association of Zambia (BAZ) chairperson Charles Mudiwa said the overall financial performance and condition of the commercial banking industry in the country had been stable in the last five years. Mr Mudiwa said the sectors’ balance sheet had depicted a positive trend over the last five years, adding that by June this year, the total assets were recorded at K62, 193.6 million. He said as at June this year, the total liabilities and shareholders’ funds amounted to K53, 935.8 million and K8,257.9 million respectively of which 70.2 per cent of these funds were total deposits amounting to K43,682.5 million. “With regards to trends that pertain to lending activity, by the end of the first half of 2016, the commercial bank gross loans and advances reduced by 3.96 per cent to K25, 157.4 million from K26, 195.6 million in 2015,” Mr Mudiwa said.